The hot lunch provided by Janice’s Fine Country Catering promises to be appetizing and educational featuring “Food From Our Farms.” New and innovative Canadian dairy products are provided by both local and large dairy processors. This year milk was kindly donated by Harmony Organic™. Harmony Organic™ makes a variety of products from 1%, 2%, 3.8% whole milk, 10% cream, eggnog and chocolate milk. Harmony Organic™ describes the companies philosophies and management styles as each of the 14 family farm producers are committed to working in harmony with nature. All Harmony Organic farms are certified organic and exceed the required organic standards set forth by the Canadian Government. 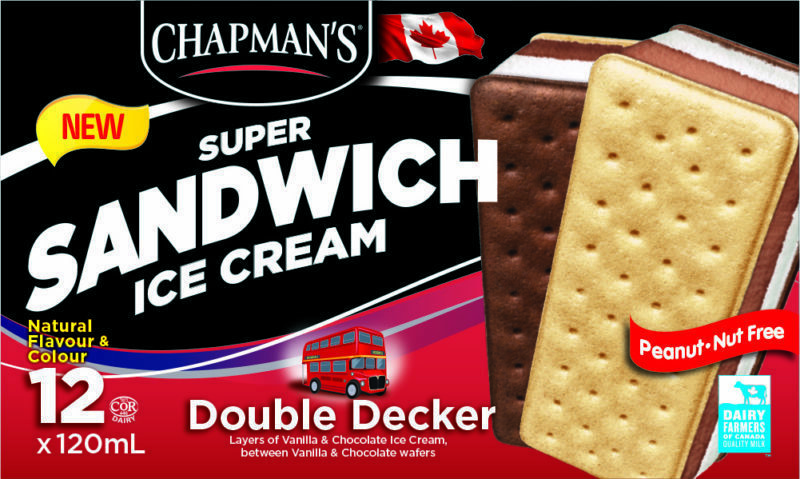 Introducing that new Super Double Decker Sandwich Ice Cream from Chapman’s Ice Cream. Made with 100% Canadian Milk, the all new peanut-nut free Double Decker ice cream sandwich from Chapman’s features layers of vanilla &amp; chocolate ice cream between vanilla &amp; chocolate wafers. A delicious treat everyone in the family will enjoy! Chapman’s Ice Cream is located in the Markdale, Ontario. They make a variety of ice cream products that can found in grocery stores across countryside. Today, Chapman’s is Canada’s largest independent ice cream company, with the Chapman family at the head ensuring the same commitment to high quality and great value ice cream. It’s the magic blend of all this that makes Chapman’s, and the people who make it, perfect – for the kid in all of us. No one else does it quite our way. Similar in texture to a Greek yogurt, this smooth product can be easily used in baking, topped with fresh fruit or jam, or enjoyed by itself. No preservatives, no added sugar, no carrageenan, no food dyes; just pasteurized whole milk, bacterial culture and rennet. Quark is a great source of protein, calcium, and a variety of vitamins and minerals. We offer flavoured quark as well, mixing in locally produced maple syrup and fruit. We use just enough to give you that sweet flavour you crave, while still using less than half the sugar that you find in flavoured Greek yogurt from the grocery store. Adam and Hannie’s passion to make cheese is blooming once more. With the encouragement of family, friends and neighbours, they have embarked on a new cheesemaking venture. Mountainoak Cheese is a modern, state-of-the-art processing plant that allows the van Bergeijks to continue the tradition of great-tasting, high-quality, Gouda-style cheeses made with high-quality, fresh milk from their own dairy cows. Oh, and why “Mountainoak” you ask? There is no particular abundance of oaks on the farm, and certainly there are no mountains in Wilmot Township. A literal, English translation of the Dutch family name, “Van Bergeijk”, would be “from the mountain oak”. 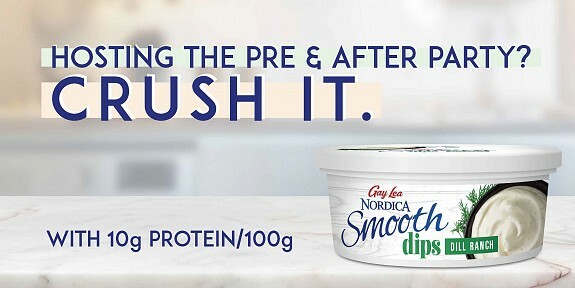 In troducing Gay Lea’s NEW Nordica Smooth Dips, available in savoury Roasted Red Pepper and delicious Dill Ranch. These creamy, smooth cottage cheese dips pack the flavour you crave, and the protein you need. And with 88% less fat and half the calories of the leading sour cream dip, there’s no guilt in these. You can find this by the veggies on the lunch table. Gay Lea’s story began in 1958 when a group of farmers came together with a common vision to build a better future for themselves and their communities; today, Gay Lea Foods is a leader in the Canadian dairy industry and the second largest dairy co-operative in Canada. Here’s how we stay true to our Born on the Farm heritage.